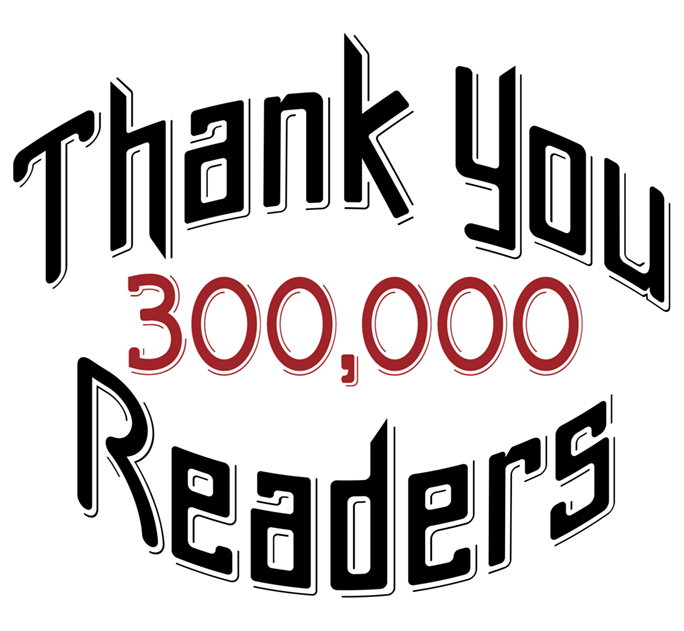 In late August of this year The Blognosticator reached and exceeded 300,000 readers. I was not tracking it closely at the time, being caught-up in beginning of the school year activities, but it happened, and now that I have a moment I am saying thank you to all of you who take the time to read The Blognosticator. Best wishes, and come back soon to see the latest blogs and controversies of the graphic and photographic arts. This entry was posted in Photography, Technology and tagged 300000 readers, Blognosticator, Brian Lawler, The Blognosticator. Bookmark the permalink.